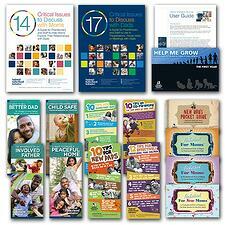 Fatherhood Resources As Simple as the "Easy Button"
Sometimes we just need things to be simple. Staples really hit the nail on the head when they launched their campaign featuring the "easy button". We all know that you can't truly hit an "easy button" and have things magically appear, but the idea that Staples could get your office supplies to you quickly and easily gave us a good feeling about working with them. Along the same lines, NFI created resource bundles that contain a collection of resources for working with dads and moms that basically let you "hit the easy button". And the best news is that we have a brand new resource bundle that really makes things easy for working with Spanish-speaking dads. Often times we hear from organizations who want to do something for dads, but they're not sure where to begin. Enter NFI's Resource Bundles. Consider them the "easy button" for fatherhood resources! We've organized our bundles based on the topics that the resources address. The bundles already include shipping in the price, so if you have a specific budget, you can rest assured that everything's already included! 1. Our NEWEST Bundle (that we're really excited about!) is the Spanish Resource Bundle. 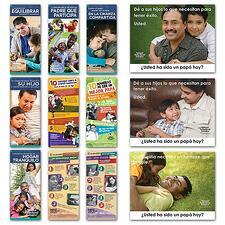 It contains a pack of each of our low-intensity resources in Spanish, along with responsible fatherhood posters in Spanish for a total $185. What's really great about this bundle is that you can purchase it and keep it as your "Spanish fatherhood resource library" of sorts. I've heard from many organizations that while they don't primarily serve Spanish-speaking fathers, they do have dads come in every so often whose primary language is Spanish. 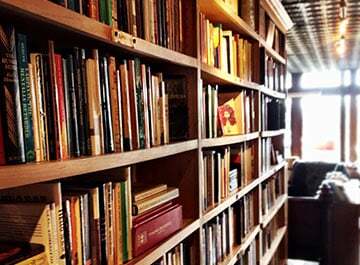 Having a "Spanish resource library" on hand allows them to pick and choose resources that meet the Spanish-speaking dad's need(s) at the time he comes in. It's also a great bundle to have on hand to see which resources you use most -- then you can come back and purchase more of those specific resources. 2. Child Abuse Prevention Bundle: This bundle contains resources that are ideal for practitioners working in the child abuse prevention arena. The resources included in this bundle were chosen to hone in on on several abuse-prevention topics including helping dad understand the importance of his involvement, how to promote a peaceful and safe home where children can thrive and grow, and how to discipline children in a loving but firm way. All of the resources in this bundle help to protect children from the risk of abuse and promote a healthy family environment−for less than $200 including shipping. 3. 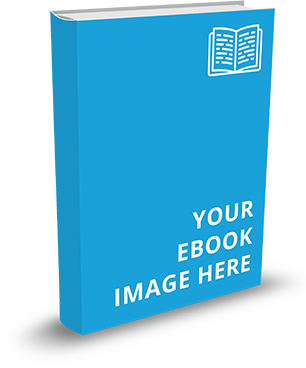 Co-Parenting Bundle: Just like the title describes, this bundle features a collection of resources for dads and moms to help them better co-parent for the benefit of their children. 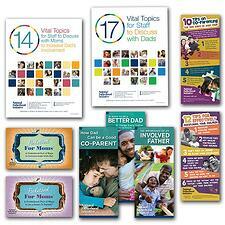 This bundle costs about $275, and contains tips to help dad better communicate and to help dad create a co-parenting plan. These resources have everything you and your organization needs to help parents work better together. 4. 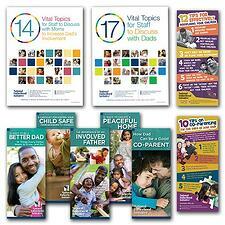 Home Visitation Bundle: The resources in this bundle focus on new parents and features resources for both dad and mom. During home visits, it's important to include dad by having resources that speak to him specifically in his role as a father. It's also important to help mom understand the important role dad plays in her children's lives. 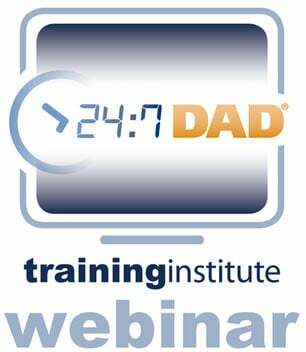 This collection of resources costs about $470, and all the resources are intended to make your home visits as educational as possible, and to encourage involved, responsible fatherhood.